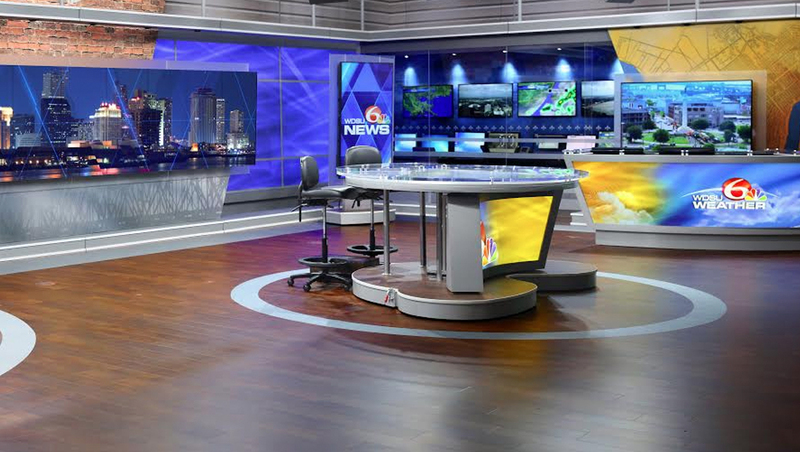 WDSU, Hearst Television’s NBC affiliate in New Orleans, has officially debuted its new home. 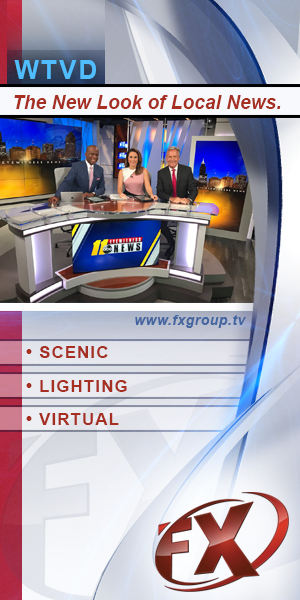 The set, which hit the airwaves at 4 p.m., was designed by Devlin Design Group, who provided NewscastStudio an exclusive first look at the design. 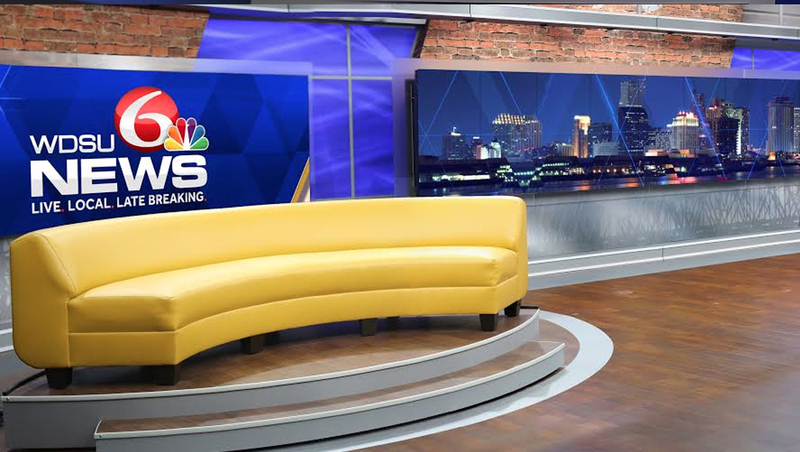 “(WDSU) wanted a set that featured a variety of storytelling venues and … a design that would visually connect them to their community by capturing the Crescent City’s enchanting sultry mix of history and global cultures,” reads the statement from Devlin Design Group. Collaborating with the creative, news and engineering teams at WDSU resulted in a high tech set that incorporates nods to “gritty mystical soul” of the city. References to the soul start at the set’s centerpiece — the anchor desk. The desk and its curved LED panel is configured in a crescent shape — a nod to the city’s location on a bend of the Mississippi River and the origin of one of its many nicknames, the Crescent City. 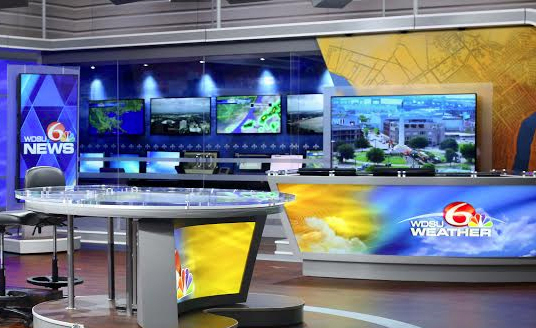 Behind the anchor desk are nine vertically mounted panels that form a “storytelling array” from Primeview that can be used to display stylized cityscape graphics as well as topical and branded imagery. Below this, the diagonal trusswork of the Crescent City Connection Bridge is visible, which provides a visual connection to the city’s architecture as well as to the “diagrid” pattern found in the station’s graphics package. Above this is a faux distressed brick and plaster wall, reminiscent of the historic buildings found throughout New Orleans. In a city that is subject to frequent severe weather, special attention was given to the weather center. A large sliding glass wall offers flexibility for severe weather coverage, while a 70-inch monitor is positioned just behind the presentation pod. The wall also incorporates an additional familiar symbol of the city — the fleur-de-lis — in a frosted band that runs across the glass panels. All this backups to to a slanted wall segment covered with imagery taken from historic street maps maps of the city. The set also boasts an additional 70-inch rolling monitor that can be used for “more intimate” storytelling and branding, which can pivot to landscape or portrait orientation for maximum flexibility. The new set features color changing walls with a wave pattern inspired by the Mississippi river as well as an additional, multipurpose venue with a movable sofa and additional video wall. “The team at WDSU wanted to capture the New Orleans vibe. We are thrilled to deliver a dynamic scenic storytelling environment that gets the job done and tells a local story,” said Kartik Dakshinamoorthy, scenic design director at Devlin Design Group in the statement.